Ontario Bing cherries are now in at farmer’s markets. They are great to eat fresh and even better to jar for the winter in some vodka. I’ve been making these flavored cherries for a few years and they are always a great companion to dessert on special occasions. We always wait until Christmas Eve to open the first jar from the previous summer and share it amongst the adults at our table. You are going to be AMAZED at the sweetness in the vodka. In fact it tastes like sweet cherry juice with a hint of vodka, minus the harsher alcohol taste of vodka “straight up”. Just be carfeull………it may be hard to stop wanting more and NO……This DOESN’T count towards a serving of fruit! Fill the jar with vodka, leaving a 1/4″ headspace. Seal up the jar. 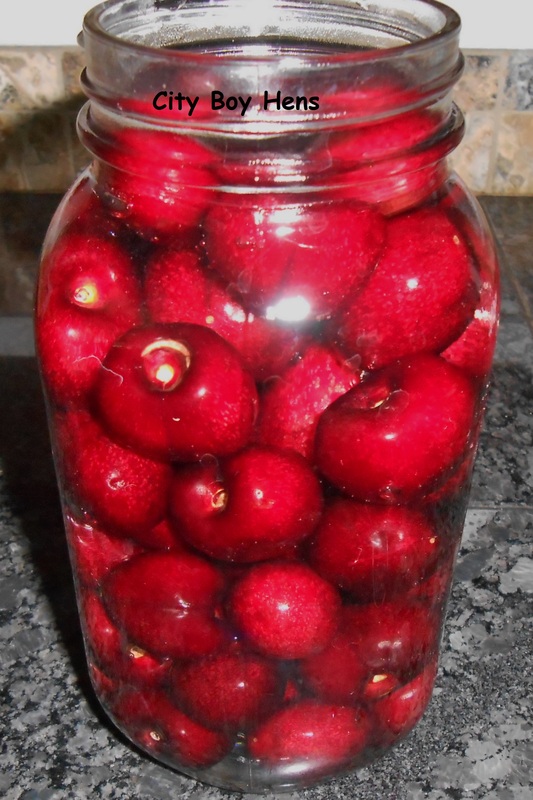 Note: there is no need to sterilize the jar because the vodka will act as a preservative for the cherries. Now, put it aside in your cantina or cold cellar and WAIT! You got to give those babies at least 4 months to flavor the vodka. You will know that the cherries are ready when the vodka turns a deep dark red. Serve 3-4cherries in a liqueur glass with a toothpick. Your family & friends are going to love them! Enjoy responsibly! Yes please! Bookmarking this now! Visiting from Creative Home Expressions Blog hop. Hi Lynn & thank you for your comments. I hope you begin the tradition of “drunken cherries” this Christmas. I also hope you raise your first glass to your friend! I think I’ve found my next extract to make! Was going to try banana, but cherry extract goes in lots of things. Thanks for the idea! I’d like to know how you make out. Those cherries look amazing. I think I just found what I’m making my father for Christmas this year! Followed you from the Homestead Barn Hop. Love for you to come by Wildcrafting Wednesday and share this post. I have a question. It seems like you leave the pits in the cherries? Sorry, I don’t know much about this…. 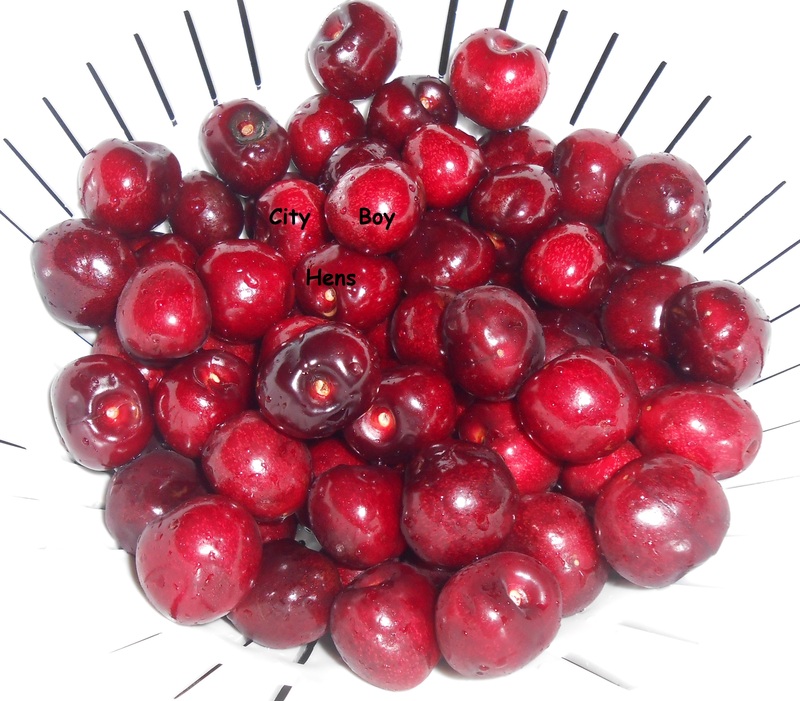 I DO leave the pit in the cherry because removing it always bruises the fruit and makes it mushy as it stores. I don’t like the texture or the presentation of the cherry if it is pitted. Just remember to remind your guests before they take a bite! Hope this helps. What a wonderful idea! I see what my extended family is getting this Christmas! We always enjoy homemade gifts and I usually knit or crochet something. This year I am in the midst of knitting a blanket and trying out a new sweater pattern and won’t have time to go that route, so this will be a fun change! I didn’t realize something so lovely was so easily made! It will be a very Merry Christmas for your family! Any chance this works with Tequila too? I’m just not a fan of vodka, although I’m sure the cherries make it taste great. But just curious if Tequila works the same. Never tried Tequila. Like you with Vodka, I am not a fan! If you give it a try, please let me know your results. I’m not a fan of vodka either as a rule. Something about doing this though takes that harsh vodka hit away. Oddly, the harsh is transferred to the cherries. I can’t explain the alchemy here, but it does work. I don’t find that the “harshness” of the vodka is transferred to the cherries. I enjoy the “zing”. you can use brandy or bourbon! it’s called “Cherry Bounce” in Door County, they use the tart pie cherries. Yum-O! I’ll be featuring you this week on the Clever Chicks Blog Hop, so please come grab a featured button (I didn’t see the link-back to the party, but I’m sure it’s here somewhere). Thanks for the “shout out”! Do I have to turn the jar upside-down from time to time? I’m not sure because there aren’t all the cherries in the vodka. 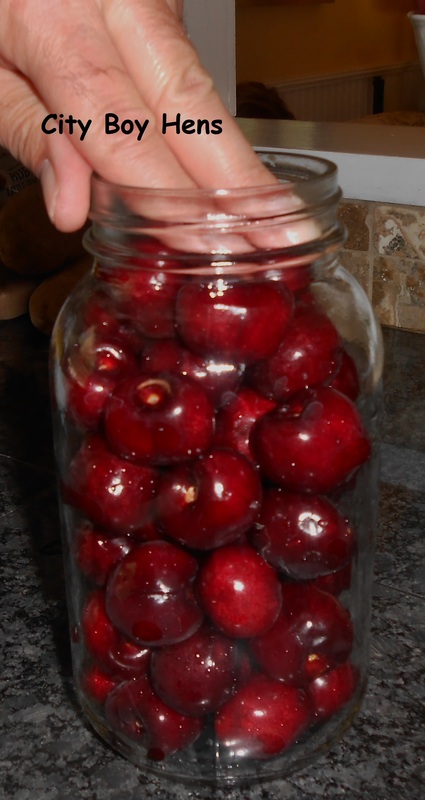 You should pack the jar pretty tight with cherries so that they won’t float. In doing so, the cherries will remain submersed in the vodka. I hope this answers your question. I just read it once more. I missed the ” (I’m not used to this mesure), so I have to fill up the jar almost to the brim. 🙂 this makes sense. I shared on Facebook as I know I have followers who will LOVE this recipe. I love eating fresh cherries so it will be difficult to spare some … what am I saying? Of course I will be making some. I am making these and I am SO counting them as a serving of fruit. A serving of fruit and a serving of happiness. How in the heck do you wait 4 MONTHS? You gotta’ wait for the vodka and the sugars in the cherries to blend into a fantastic flavor. Believe you me, it will be worth he wait! Thanks for sharing this with us. I was just wondering how long after the 4 months they will keep with the cherries maintaining their integrity? Just wondering if I could make extra while the cherries are available? They will still be firm and taste great long after 4 months. I am still enjoying a jar from last year. This looks like a wonderfully full flavored serving of fruit to ME! This is going on my must do list, thank you! Stopping by from The Homesteaders Hop, thanks for participating and come again this Sunday! Hope you give it a try. See you next Sunday. Shared this on FB as well as my blog on Christmas presents last week. 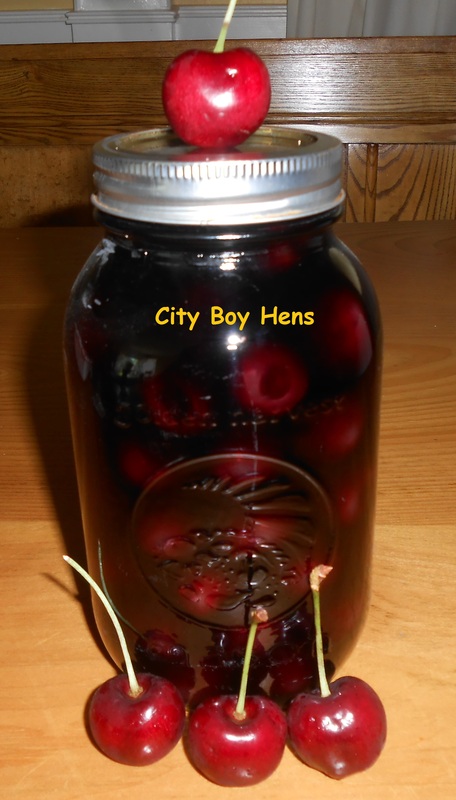 I am making another batch today because I found some more cherries! Very excited to try this at Christmas and give as gifts this year! Love your blog! Thanks for sharring my post. It looks like it will be a very MERRY Christmas for you and yours! Oh my, the things you can do with fruit and vodka! This seems simpler than the limoncello I did a few months ago http://halitrax.com/2013/04/29/la-la-la-limoncello/ Hope I can get some cherries to try it soon! 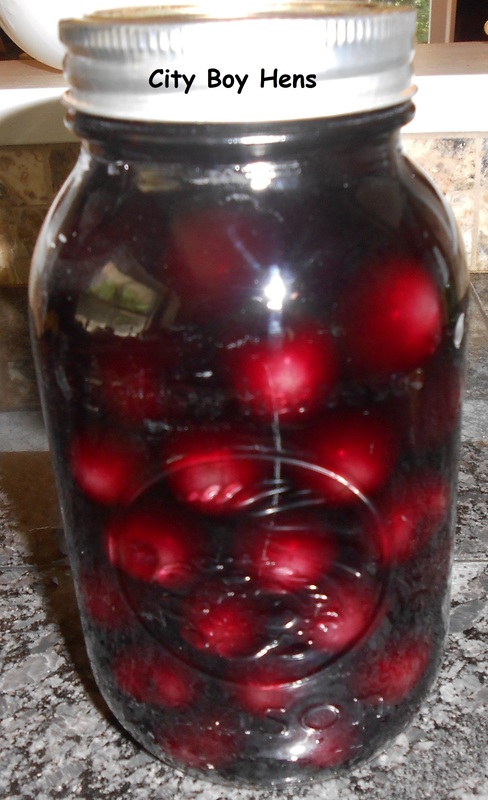 I have been making cherry vodka since the early 80s. I add a little sugar. My friends can’t wait for their Christmas gifts!!!!! Thanks for your comments. My friends are fans as well. have a question.. just purchased a bag of cherries, its the start of the season so they dont taste that sweet, or really have much of taste at all… does this make a difference since they are going to be infused with vodka?? Or should I wait and purchase a different kind of cherry? If it were me….I’d wait for a local Bing cherry. The sweetness of this cherry will infuse with the vodka and make a sweet syrup to accompany your vodka cherries. Thanks! Will keep my eye out for bing cherries ! Loved this when I saw it last year. I add nothing but Vodka and cherries. Turns out just wonderful. Here’s the problem. I ran out before this year’s cherries came in. Well solutions abound. I found some great pomegranates and the market. I filled a jar with those and of course the vodka. Problem solved. great idea for Christmas gift giving and story sharing. I’m putting this activity on my “to do list”. Christmas is about stories and you just started a new chapter for me. thanks a bunch! Glad to hear I have helped in a new chapter. Your family and friends will appreciate your gifts. Is it ok to pit the cherries first? You can pit them, but you may find that the cherry becomes a bit “mushy” over time. You can use any cherry that you find to be tasty. I used Bing cherries because they are available and really sweet. Getting ready to try this. Thank you. I also make my own vanilla extract. Do you want the recipe? Glad to hear! Please pass on your vanilla extract recipe at your convenience. Will this work with whiskey. Do they need to be refrigerated? It will but the whiskey will dominate the flavor. I don’t refrigerate. I have just done a very similar thing with brandy. I was actually making cherry brandy and hadn’t thought to simply preserve some cherries. I will have to go back out and pick some more cherries tomorrow as I stoned all the ones that I picked today. A local tree is dripping with fruit. After a week the lids are starting to bulge, is this because of something I have done wrong? I have not experienced this before. 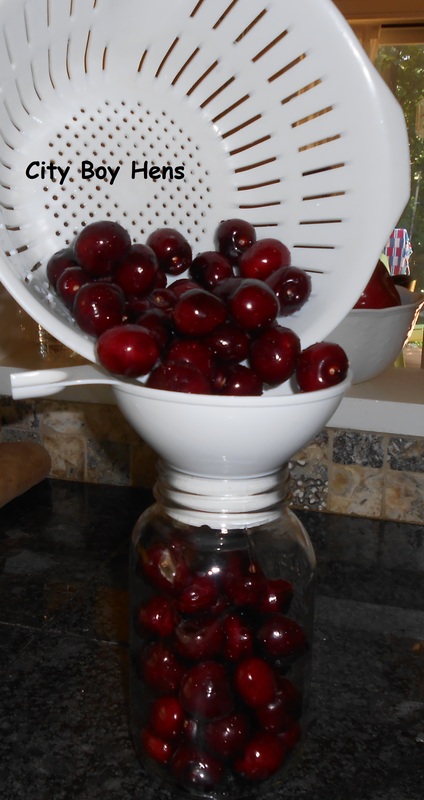 Is it possible that your cherries were starting to spoil before you put them in the jar? If the lids are bulging, it sounds like there may be a fermentation occurring. 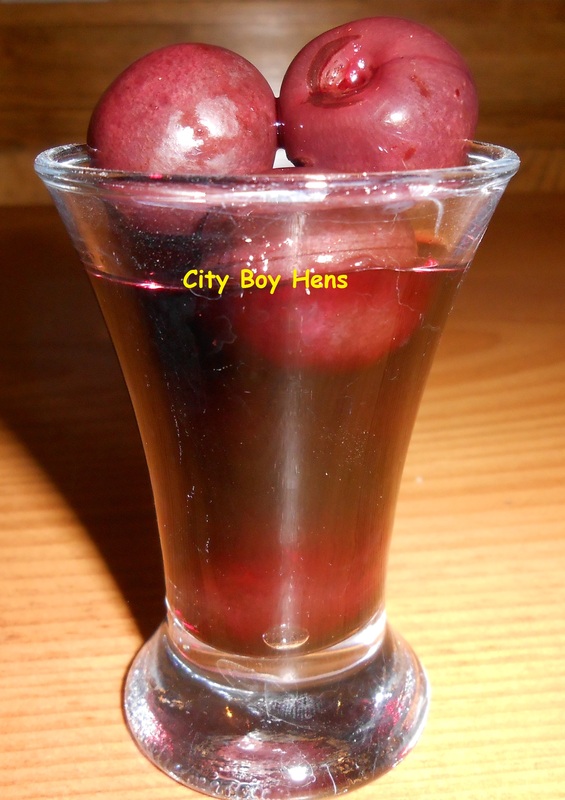 I use these to make Vodkakirshin – chocolate covered vodka soaked cherries. I only make them for Christmas along with rummy raisins and brandy orange peel. I also never give them to my friends who are in AA. Something I’ve always wanted to do. I recall some older relatives reminisce about this tradition. Thanks for the inspiration. Could I use grapes instead of cherries? This sounds wonderful but I can’t get cherries this time of year. I’ve never used grapes, but I’m guessing they will end up mushy. So are you hot water bathing these to seal? I don’t because the alcohol will prevent spoilage. So Happy 🙂 Ever since I moved to Wisconsin I have heard about these amazing cherries. I never found a recipe. Thanks so very much!! I want to make many many small jars to give away. Does the recipe stay the same?? Just make sure the cherries are TOTALLY submerged in the vodka and you’ll be fine. OK 🙂 I have now done 20 batches of your wonderful cherries 🙂 Problem?? Two of the small jars have leaked over onto the shelf?? Should we eat them now OR through them away? I can’t say that has ever happened to me. Is it possible that some of your cherries were starting to spoil before you canned them and now they are starting to ferment? Did you leave the 1/4″ head space? Have you ever added spices? Cloves, orange peel? Nice additions. You’ve got me thinking. Are you using expensive vodka or the cheap stuff? Does it make a difference? You can still get a nice product with a less expensive vodka……maybe not as smooth. We have done this same thing in large jars with our plums. Makes a delicious plum “wine”. I can’t wait to try it with cherries! !